Well I've tried to take pics step by step how to do this look ....but as I was doing my nail art desing I was so focused on it( to do them perfect) ....I forgot to take and the rest of step by step how to look . Pfff I know I know shame on me :( . No worries soon I do that too and I'm gonna update you for more info for these looks. 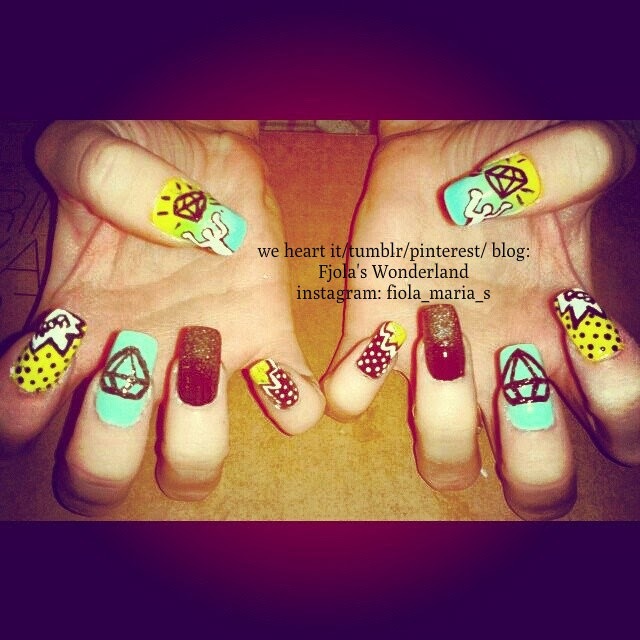 The hand with all those pop art nails,I've done it for a friend. She was so excited about it and of course I was really happy that she like this look that I did for her nails. 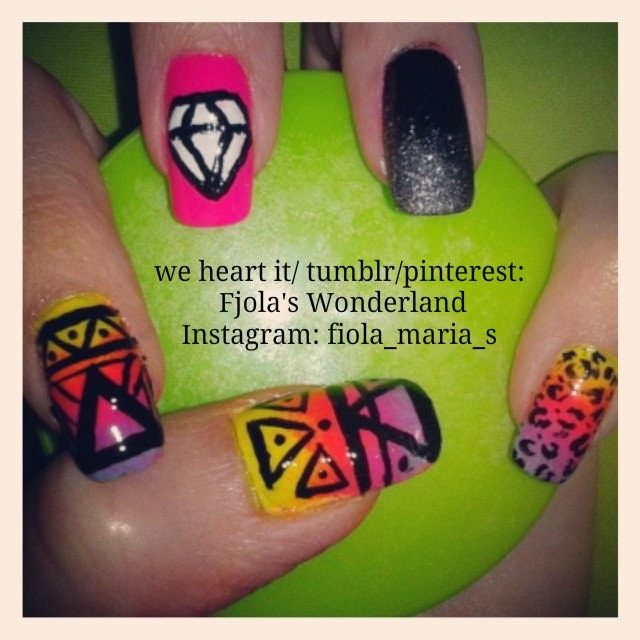 The second foto of tribal mixed diamond, leopard nail design are my nails HOPE YOU LIKE THE LOOKS.